The intending Candidates MUST carefully read all the provisions/stipulations/conditions/instructions etc. given in this Full Text Advertisement before proceeding to apply for any Post. 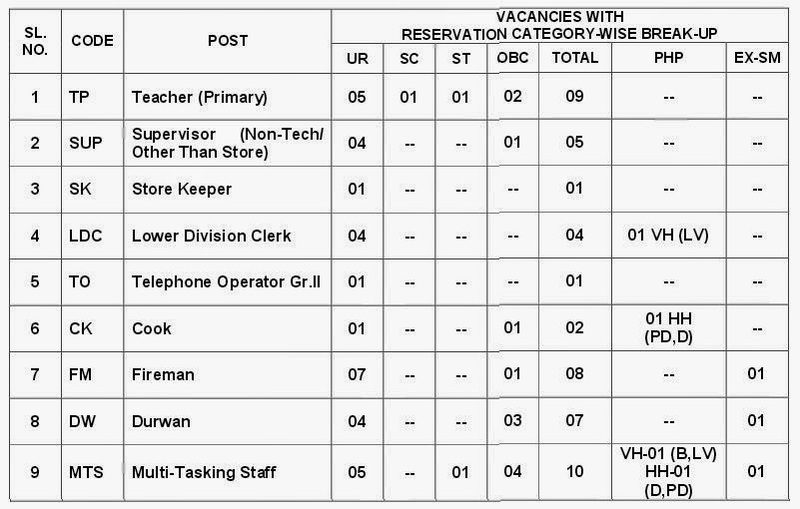 As the Abridged Advertisement was published in the Employment News/Rojgar Samachar dated 15-21 November 2014, the Online Applications for any Post can be submitted on the Factory's Internet Website from 25.11.2014 onwards and the Closing Date for submission of the Online Applications on the Factory's Internet Website shall be 15.12.2014. Accordingly, the Crucial Date for all purposes i.e. for determining the Age Limits, Educational Qualifications and Other Qualifications, etc. for all Candidates shall be 15.12.2014. The word 'Advertisement' used in this Full Text Advertisement shall mean 'Full Text Advertisement' unless context is otherwise. 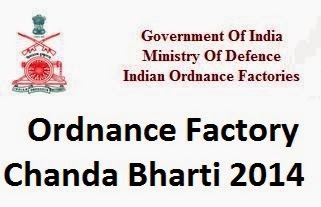 The advertisement is subject to orders, if any, by Hon'ble Court/Ministry of defence/Ordnance factory Board etc.